Greetings from Shanghai. Just to let you all know that I have got here ok. The flight took 12 hours but it was worth it. Looking forward to visiting schools on Monday. Shanghai is on the Huangpu River. 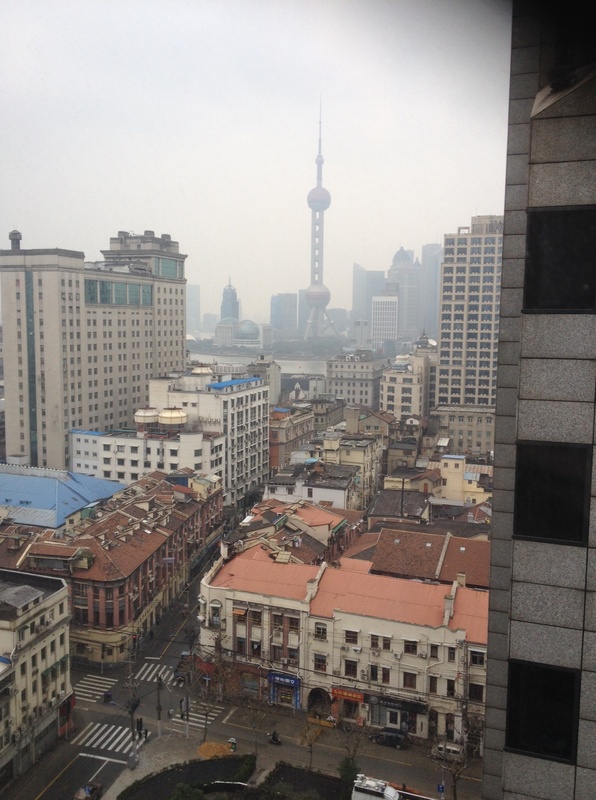 This is the view of Pudong which is an area of Shanghai which means West in Chinese. 20 years ago this would have just been farmland and now it is offices where people invest money. I saw this in a shopping centre and it reminded me that it is nearly Chinese New Year. I wonder if anyone can remind everyone of the Chinese New Year story and what animal 2014 is represented by. 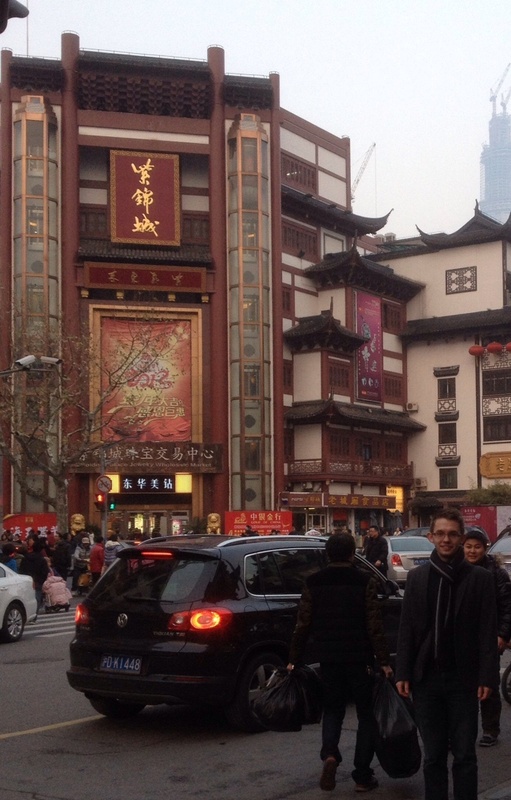 Mr Ellis has been out and about buying decorations for school for Chinese New Year. He says Shanghai seems to be a very rich city. But there are also some poor areas too. 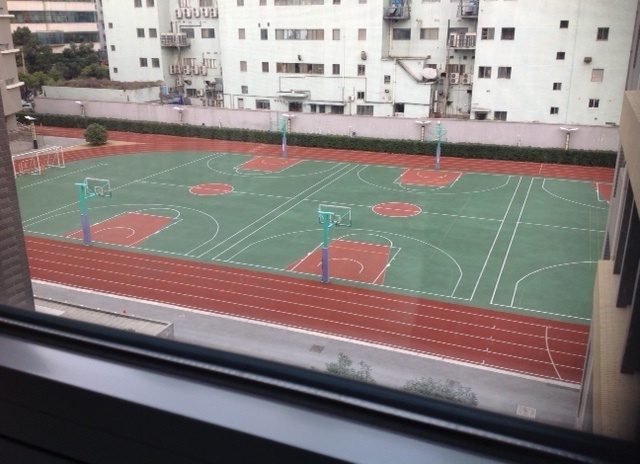 Message from Mr Ellis tonight…….Below is the view from my hotel window. What different buildings can you see and what do you think they might be used for? The pearl tower in the distance is a tv tower and at 468m, it is the tallest in Asia. I am hoping to get up to the top one evening after I have been in schools. It is really well lit up at night but only until10pm. I think they do that to save electricity. The buildings are made from very similar materials to those we use – cement, bricks, slates. I have seen some traditional buildings but a lot were built very recently.! 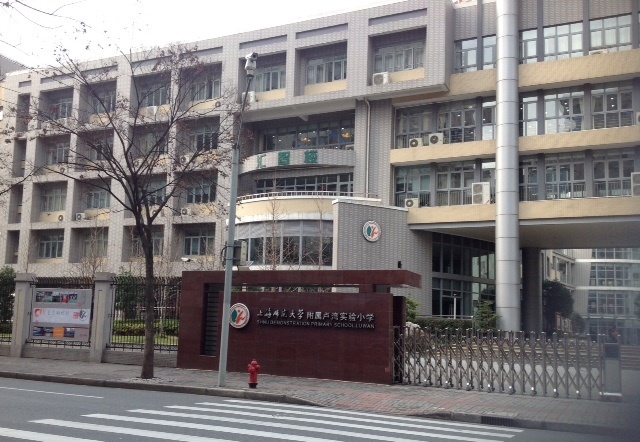 Mr Ellis visited this enormous school today. Some more pictures from Mr Ellis. He has a long day ahead. He will be getting up at 3am UK time and won’t be back until 5pm! Who can work out how long that travelling is? I’ve wished him a safe journey and I’m sure he’ll have lots to tell you in assembly on Monday morning! I love the motto on this school! We are glad you are having a fun time, Mr Ellis! What decorations have you bought? 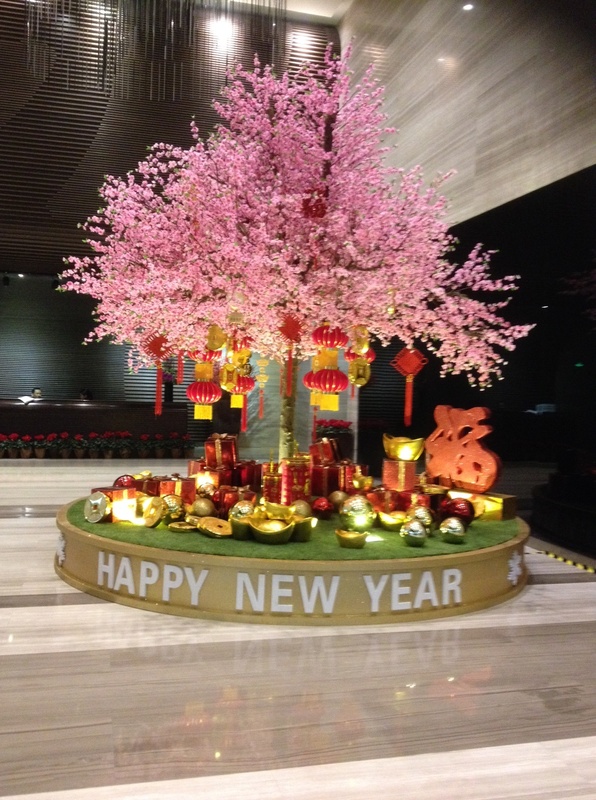 We have found out that the Chinese New Year begins on January 31st and then it will be the year of the horse. At the moment it is the year of the snake. Abbie was born in the year of the monkey and Alice was born in the year of the rat. We think the oldest children in Y6 would also have been born in the year of the horse. There are 12 different animals in the story and the order comes from the order they crossed the river. We like looking at your photos. What is your favourite food so far? I will ask him but there is a delay because he can’t see the Blog in China. They have the internet, but it blocks out some other countries and their internet applications. There were so many stalls on the local market that were selling decorations for Chinese New Year. My suitcase on the way back was full to bursting with decorations. 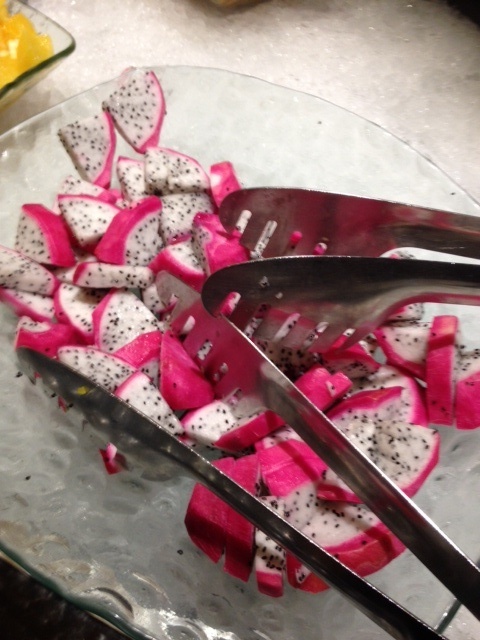 My favourite food as the dragon fruit. It was very sweet, juicy and tasted like kiwi fruit. 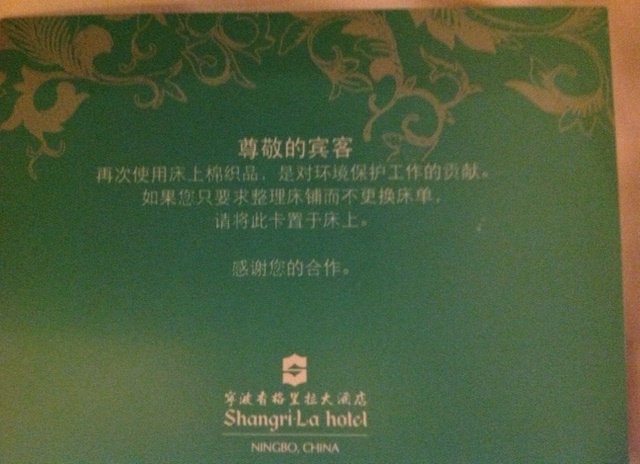 Mr Ellis, I’m so glad you like Shanghai also I’m sure you will have a lot of decorations can you show any examples? I saw he had a bag full of them Izzi! Can’t wait to see them! Can we see a picture of some children at the school please? Yes I want to as well! He says later in the week he’ll be able to do that maybe. 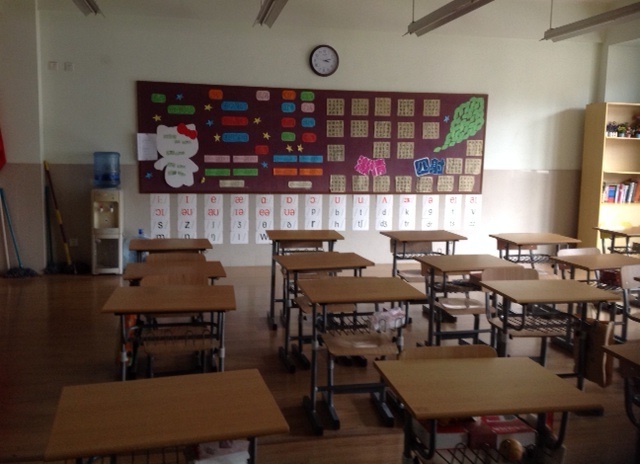 I have got plenty of photos of schools and some videos of lessons with children. The children that I met were very friendly and they wanted to speak to me to test out their English that they learn in school. The fruit is called a Dragon fruit; you might be able to find it in Shanghai farmers’ market. I found a picture of all the things there. Hello Mr Ellis. Awesome Learning Astronauts here. We are missing you. We want to ask what sort of clothes the children wear in school? Kiki would like to know what they wear when it’s a day off school? Mary would like to know if they have homework to do? Hope you’re having a nice time. Some good questions. You will see some photos of children when I am back at school so you can find out what clothes they wear. They do have homework to do. Probably the same amount as you have. Their parents really help them with it. The children know that it is really important to do learning at home so they find their learning easier at school. Hello Mr Ellis I am missing you are you ok ? can you speak chinese yet ? I am looking forward to seeing everyone next week. I have already seen a photo of the fantastic role play area that you have created! I only learnt a couple of Chinese words. It is a very tricky language to learn. I spoke to one of our interpreters who said that Chinese is a very flowery language. What do you think she meant by that? Mr Ellis I am missing you so much. I was born the year of the rat. What Chinese year were you born? When are you coming back on the plane? What food have you tried? What stuff did you get for chinis new year? When dus there school start ? When dus there schooll finish?